Dr Michael Beckles BSc (Hons) MB ChB FRCP is a Consultant Respiratory and General Physician at the Royal Free Hospital in London. In addition to his NHS work, Michael also has an active private practice and sees UK and international private patients at King Edward VII's Hospital. He treats patients with all manner of respiratory and general medical complaints, and is a skilled fibre-optic bronchoscopist. Michael completed his undergraduate studies in Medicine at the University of Manchester where he won several undergraduate prizes, including an MRC Scholarship for his Intercalated Degree in Pharmacology and Physiology. 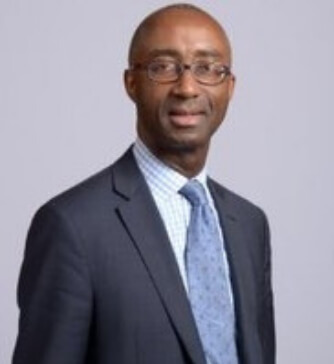 Following postgraduate training in the teaching and district general hospitals surrounding Manchester and London, Michael was appointed Consultant Physician at the Royal Free Hospital in 2001. In addition to participating in the acute on-call rota for medicine, he has developed specialist interests in lung cancer and sarcoidosis. Michael is currently the Chair of the Wellington Hospital Respiratory Group and the Co-Chair of the Harley Street Clinic Lung Cancer Multidisciplinary Meeting (MDM). He has previously held clinical leadership positions in acute medicine, bronchoscopy, and lung cancer. Actively involved in the teaching of undergraduates and postgraduates, Michael contributes to national and international guidelines on the management of lung cancer.